What is a resolution warning? What is a "resolution warning"? Pixellu SmartAlbums 2 constantly analyzes your album design and notifies you of any potential issues, helping you catch problems early. As you choose layouts for your spreads, you will sometimes see a warning symbol appear in the corner of some images. This is the ‘resolution warning’ which notifies you that the image does not have enough pixels and is being upscaled to fill the frame. Or, in other words, the image is too small and it is being stretched in order to fit into the design, which will reduce the quality of the print. 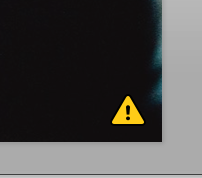 When you hover over the warning, you will be shown exactly how much the image is being stretched, or ‘upscaled’. For example, this image is being upscaled a little over 200%. This means that it is being stretched about double its size. As images are stretched beyond their original resolution, print quality suffers. A little upscaling is okay, but too much will result in noticeable issues with the print quality. The obvious question is - how much upscaling is too much? Well, it depends on your personal preference. We recommend to stay below 150%, and definitely never go beyond 200%. 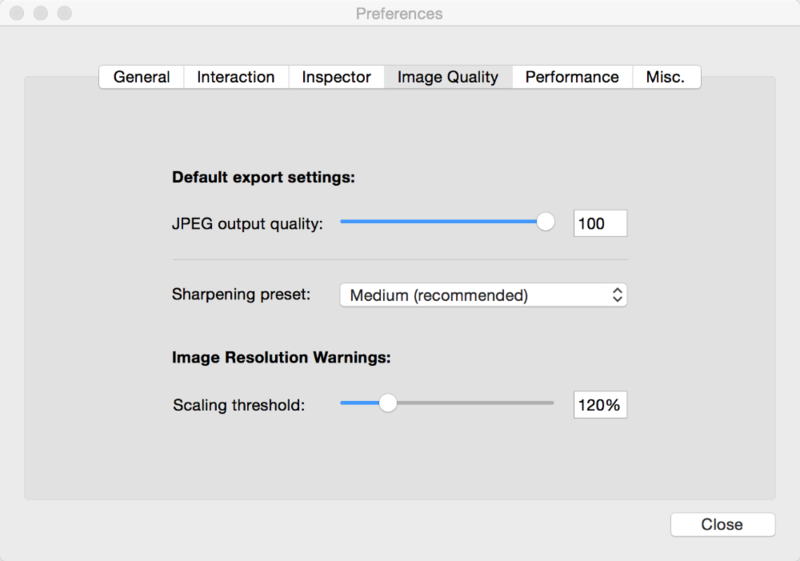 By default you’ll see a warning appear whenever an image is scaled beyond 120% of its original resolution. You can change this threshold by going to Preferences and clicking on the Image Quality tab. For example, you can choose to see a resolution warning only if an image is upscaled more than 150%. If your image is being stretched beyond an acceptable amount, there are a couple ways of resolving the issue. Move the upscaled image to a smaller frame or choose a different layout with smaller frames. If you are are seeing a warning on most or all of your images, you most likely imported low resolution images into SmartAlbums, and will need to replace them with full resolution copies. Watch the tutorial video below for more information.